Does the parlement still represent the people? While settling for a poor information, the National Council curtly refused to support our initiative, 49% of respondents to a survey Tagesanzeiger whom have declared themselves in favor. So take advantage of federal elections to renew our Parliament with the candidates supporting the RBI and find the necessary means for the people to vote being sufficiently informed. 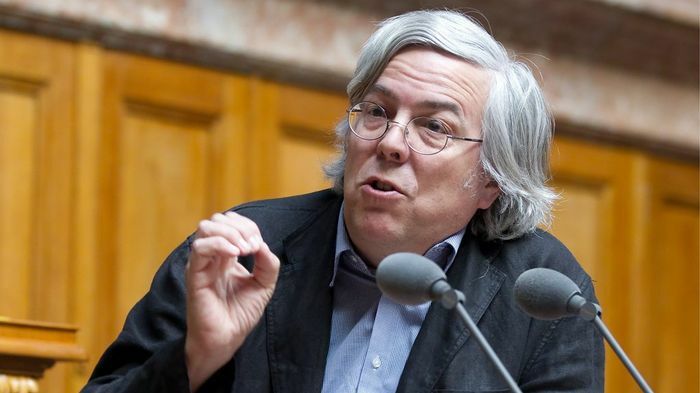 The National Council rejected the initiative by 146 votes against, 14 for and 12 abstentions, a result that is not surprising considering the novelty of our proposal. The next step is consideration by the Commission on Social Security and Public Health of the States Council Thursday 8 and Friday, 9 October, and the vote by the States (see the attached open letter of information we sent to the Commission). The sessions calendar shows it is entirely plausible that the initiative is submitted to popular vote already in June 2016. A non-representative survey of Tagesanzeiger / Newsnet indicates that 49% of the 3112 people who took part in favor of the initiative while only 42% are against. 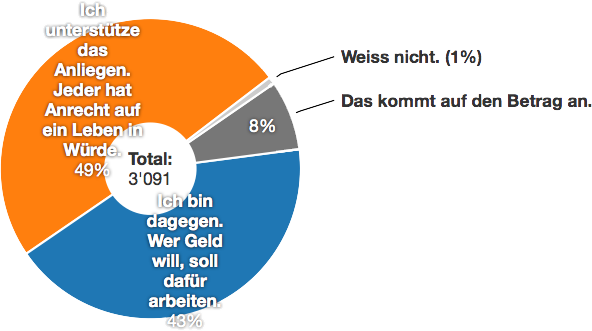 When asked what amount should be paid to adults, 35% of people agree with the proposal of initiators in the amount of CHF 2'500, 14% are for an amount between CHF 1000 and 2 '000.-, 7% for an amount between 3'000.- and 4'000.- and 4% did not know (39% are against any idea of independent labor income). You can find answers to other interesting questions on the Tagesanzeiger site. You will find answers to other interesting questions on the on the website of the Tagesanzeiger  (DE). It is interesting that, unlike our federal parliamentarians have the initiative now enjoys broad popular support. This is not surprising since, as we have seen during the collection of signatures, it meets a genuine aspiration of the people. What is missing when everything is there? Why the unconditional basic income raises the good questions. The unconditional basic income dramatically raises the question of self-determination of a person: what work would you do if you had no need to earn a living? What do you think you are capable of, and what the others? Switzerland is the first country to vote on the introduction of a basic income. The dividing line between supporters and opponents escapes the usual divisions: capitalists and socialists, liberals and conservatives, entrepreneurs and union both are passionate about the proposal - and fight. It established new alliances and old breeze. The reason for this is that the unconditional basic income asks the right questions. Reflections Daniel Häni and Philip Kovce provide the tool to bring down this old conceptual wall. 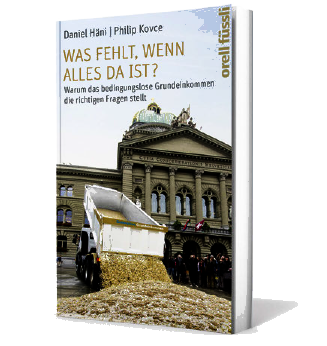 "Did you know that a correction of the current practice of money creation, the current public debt of the federal government, cantons and municipalities could be fully repaid without danger of inflation, in the space of a few years and Switzerland would be the first state of the world not to have debts? " The federal initiative "Sovereign Money" has been signed by nearly 100,000 people. While this is an entirely different project UBI, there is some paternity them since "all the gains from money creation will only be made available to the community." We therefore propose to people who wish also allow the debate on the creation of money to sign this initiative as soon as possible so that it can be filed shortly with the necessary safety margin. Do you know a potential benefactor interested in financing the paradigm shift?